In this second chat on bookkeeping entries, I'll try to keep this really practical and not theoretical. I'm going to discuss the not-so-routine entries that are often booked incorrectly ... as well as provide accounting journal entry examples for capital assets, banking, and year-end. Tips on learning your debits and credits ... 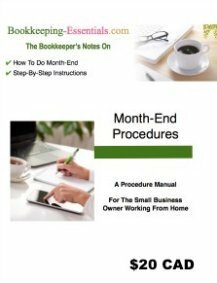 I provided a bookkeeping tool to aid you in your learning process. ✔ Accounts Receivable bookkeeping entries. ✔ Accounts Payable bookkeeping entries. Have you set aside a few uninterrupted minutes for this chat? Are you feeling relaxed and calm enough to learn? Do you have your nice hot cup of tea all poured? ... Then let's get started. 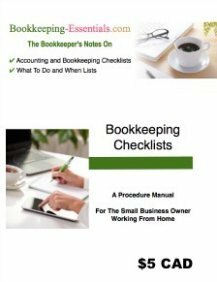 has links to all the bookkeeping entries on this site. In addition to categorizing operating and capital leases correctly, there are four types of common bookkeeping errors you need to be aware of ... so that when you come across them, you know they are treated differently. Expensing inventory, capital assets, capital leases, loan payments and personal expenses (see table summary below). Recording gross proceeds from the sale of an asset as income. Recording loan proceeds or owner's contributions as income. Treating customer deposits and prepaymets as earned revenue. If you've read my chat on the balance sheet, you will remember that a capital asset is a purchase you make of non-consumable items that have a life expectancy of greater than one year. These transactions are NOT expensed. Inventory and capital leases are also not expensed; operating leases are expensed. The principal portion of monthly loan payments should NOT be expensed either; only the interest portion gets expensed. Take a moment to learn about the two different kinds of leases ... capital leases are not expensed while operating leases are. Equipment under $500 in Canada; $200 in the U.S. It is also a good idea to learn when it is appropriate to delete, void, reverse, or correct bookkeeping entries. Nothing screws up your books faster than deleting or changing reconciled item by mistake! Read more here to help you decide. Please note that some links on this page go to password protected pages. You will need an Insider's Pass to access them, which can be obtained by subscribing to The Bookkeeper's Notes newsletter, a free bi-monthly publication. Click here to view the full article. Where it came from (credit) - a capital lease, cash down and a trade-in allowance. You can find a discussion on capital vs operating leases in Is Your Vehicle Lease An Expense, An Asset, or A Liability?. 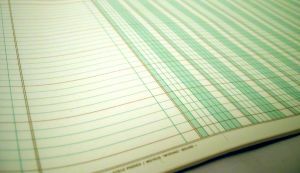 You can find the bookkeeping entries for UK hire-purchase financing in The Bookkeeping Forum. You have to read your lease agreement to see how they handled the taxes ... you are looking for when the taxes are paid. If the lease includes GST paid on the total amount at the start of the lease, then you would adjust the bookkeeping entry above to code the GST amount toGST Payable. If the GST is not paid in total at the start of the lease, then the GST is payable and accounted for when you make your lease payments. If you are not a GST registrant, the GST would be coded to the Leased Asset account ... but only if it is included in the lease amount ... otherwise you code the GST amount to the Leased Asset account at the time you make each lease payment. Then make an entry to reduce the lease liability by the amount of any trade-in allowance or cash put down. The last entry above was really two entries that I combined into one. One entry removes the old vehicle from your books and the other entry records the down payment. If it is easier for you to figure out and understand, split the combined entry into two separate bookkeeping entries. Next, create an amortization schedule from the information located in the agreement. There should be a stated interest rate. The term and taxes should also be visible in the agreement. When drawing up your schedule, omit the final amount due for ownership to transfer. Here is a financial calculator might help you out with that task. It is a Canadian version of the loan amortization calculator. Each year-end, your bookkeeper or accountant will make an adjusting entry pertaining to the classification of the lease. The current liabilities section of your balance sheet will reflect the current portion of your long term capital lease obligations owing. They will also book an amortization entry for the vehicle. When your lease expires, you will have to make a bookkeeping entry to "purchase" the vehicle for the bargain purchase amount stated in the conditional sales agreement. 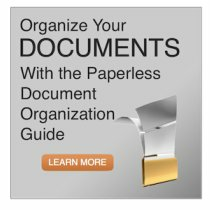 Keep all your paperwork regarding lease agreements in your permanent files. What you gave (credit) - the owner's money. It is very important to carefully track and have supporting documentation for your incoming cash sources that are not sales revenue ... so they don't get included as income during a tax audit. If you are wanting reimbursement for business expenses paid from your personal funds, then you want to submit an expense report NOT book a loan. Click on the link for the bookkeeping entries. If you aren't expecting the business to pay you back this money, then the cash contribution should be booked to the Owner's Contributions account (owner's equity on balance sheet) instead of the Owner's Loan account. If you contributed your own personal assets, you have to bring them into your business at fair market value. Instead of debiting cash, you would debit the appropriate asset account. You will find a tip here on what paperwork you should keep regarding these types of transactions. Track your incoming cash ... classify it correctly. It is very important to properly record cash coming into the business. If you classify it incorrectly, it may end up being allocated to sales revenue ... which would increase your bottom line ... and then increase your income taxes to be paid. Part of this article is missing. You will need an Insider's Pass to access this article in its entirety. Your free pass is available by subscribing to The Bookkeeper's Notes newsletter, a free bi-monthly publication. 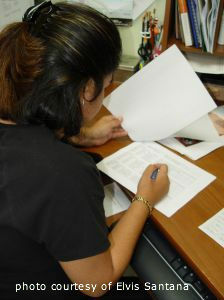 Keep all your paperwork regarding loan proceeds in your permanent files. If you are ever audited, you need to be able to prove the proceeds were not revenue or a contribution from you. Remember to be careful when you record your loan payment journal entries each month. At year-end, your accountant will make an adjusting entry for the current portion of your long term debt. The adjusting entry will reclassify the amount of principle due in the coming year to a current liability account. You don't need to concern yourself with this entry or this account during the year. CR Current Portion LTD (Current liability account on the balance sheet). Its purpose is informational as it lets readers of the financial statement know how much debt is due in the coming twelve months. Book all your loan payments to the long term liability account. What you gave (credit) - a bank loan, cash down and a trade-in allowance for an old vehicle. If you are just selling a vehicle, then go to How to Record the Sale of an Asset. If you are just making a vehicle purchase with no trade-in, go to How to Record the Purchase of an Asset. This is how to book the entry in Canada. If you are from the U.S., the accounting treatment is a little different. You'll find the U.S. bookkeeping entry here. When you have a vehicle purchase AND a vehicle sale through a trade-in allowance, two separate bookkeeping entries are required ... one to write-off the net cost of the old vehicle and one to record the purchase of the new vehicle. Keep all your paperwork regarding the purchase and loan proceeds of your new vehicle in your permanent files. If you are ever audited, you need to be able to prove the proceeds were not revenue or a contribution from you. Check here on how to record the bookkeeping entries for your monthly vehicle loan payment. You may also want to become familiar with how to claim business use of your personal vehicle. Where it came from(credit) - cash in bank or from loan proceeds. Please read up on your ITC rules to learn IF and/or when you can claim an ITC pertaining to a capital asset purchase. Sales tax makes this transaction not as simple as it looks. Credit (Increase) PST Payable if you are self-assessing PST; i.e. PST was not paid when purchased but should have been. Credit (Increase) GST Payable if you are self-assessing GST; i.e. GST was not paid when purchased but should have been. A discussion on equipment purchases is included in the article on Capital vs Operating Leases. Keep all your paperwork for this type of transaction including the bill of purchase, so that you meet CRA record retention requirements. Selling of an asset requires more than one bookkeeping entry. Keep all your paperwork for this type of transaction including the bill of sale, so that you meet CRA record retention requirements. Think of this account as your safe or cash box on your premises. You have not had a chance to go to the bank yet to deposit the funds. That is the purpose of the Undeposited Funds account ... a temporary holding place until you make it to the bank. So let's look at how it works in QuickBooks®. To record the physical bank deposit of the customer payment. Normally you would only directly enter a bank deposit through the Make Deposit function if the deposit is NOT associated with a sales invoice or a sales receipt which indicates it is a customer payment. Using the Undeposited Funds account for all customer payments is a good internal control measure. It helps prevent booking income twice or recording a a payment receipt twice. It also enables you to use and present valuable reporting in the event of dispute. Amy Vetter, CPA suggests the small business owner review this account regularly to ensure the amounts are being deposited to your business bank account(s) ... instead of a manual bookkeeping entry to a fictitious bank account. Consider it an internal control procedure that gives you a quick way to reduce the chance of fraud. Where it came from (credit) - the customer's money. Credit (Increase) Sales (if they paid immediately) OR Accounts Receivable (if you extended credit). But when you receive a customer deposit or customer prepayment, the transaction is a little different. I will show you two different accounting methods for the customer prepayment bookkeeping entries ... yes, it requires more than one entry. At the end, you can choose to use whichever set of bookkeeping entries you want. The liability method for prepayment of invoices is in conformance with GAAP ... so no adjusting entry is required at year-end ... unless you forgot to apply the customer payment when the job was complete. This method requires more accounting knowledge to understand why you are doing it ... beginner's get confused because if you study the first entry you will notice that the customer prepayment is both an asset and a liability at the same time. This method also creates extra work because you will have to remember to reconcile the liability account each quarter to make sure it reflects only your outstanding deposits on work in progress or product not delivered yet. If you use QuickBooks®, you will want to create a customized report to track customer deposits. This method puts your customer's account into a credit balance. ... you have not earned the revenue until you perform the service or produce the product. This meant it is a liability to you until you complete the work or supply the product. ... my preference is the second method (could you tell?) ... I like saving time, there is less room for error, and you still come out with same result. If you want to see an excellent video on how to book customer prepayments in QuickBooks®, head on over to qbquicktips.com/blog and look under special transactions. Click here to receive Brian Tracy's FREE Goal Setting Success Guide!